TOUGH JOBS NEED A TOUGHER SEAT. BE THE MASTER OF YOUR ENTIRE FLEET. PREMIER SEATS FOR YOUR ENTIRE FLEET. National Seating is the premier choice of truck seat for fleets. Find out why today. PREMIER SEATS FOR YOUR ENTIRE FLEET. 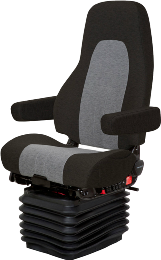 National Seating is the premier choice of truck seat for fleets. Find out why today. NATIONAL SEATING BUILD YOURS NOW! While our core operations are in the USA, we draw on our global seating experience and operations to determine where common needs, products, and lessons can help us deliver better products.